For the longest time, factory resetting a smartphone was considered to be something of a last resort. This is because factory resetting a device means clearing everything from the handset and returning it to factory settings. This means all of your own data is removed from the handset – all applications, accounts, photographs, text messages, chat logs. 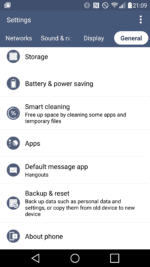 If you select the necessary option, you can also wipe clean a MicroSD card, too. And before we had such robust cloud backup facilities, factory resetting a device meant you had the laborious task of manually backing the data you needed to either a MicroSD card or to a computer, or perhaps even via a cloud storage account. 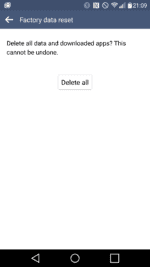 However, these days both Google and the manufacturers have developed comprehensive backup systems that can save much of your data quietly to the cloud so that should the worst ever happen, you can recover your information. 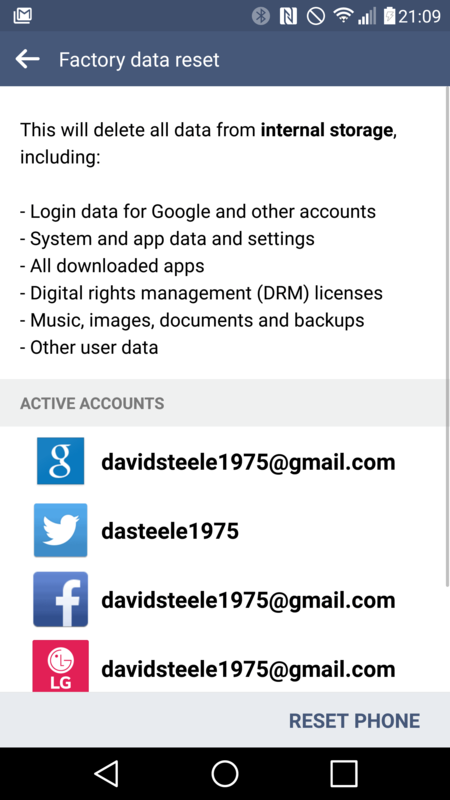 Some applications, such as Google Photos, can take a back up of your photographs and for those of us storing our music behind the Google Play Music facility, there is very little on our handsets that we might miss. 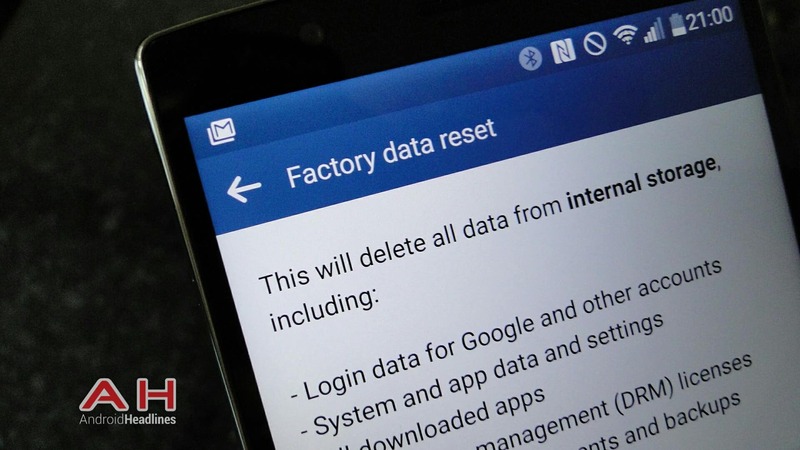 There are a few reasons why you’ll be factory resetting a device. Perhaps you’ve decided to sell it on and it’s prudent to wipe the information off the device before giving it to the new owner. 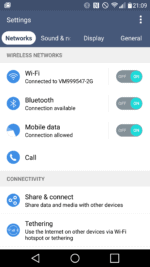 However, for something as new as the LG G4 one reason why you may be deciding to sell the device on is because you have installed, uninstalled, reinstalled so many applications that something, somewhere broke and the device is behaving erratically. Regular troubleshooting might track down the problem, but if your data is already backed up, a factory reset, wipe and re-start is likely a slightly extended coffee break. 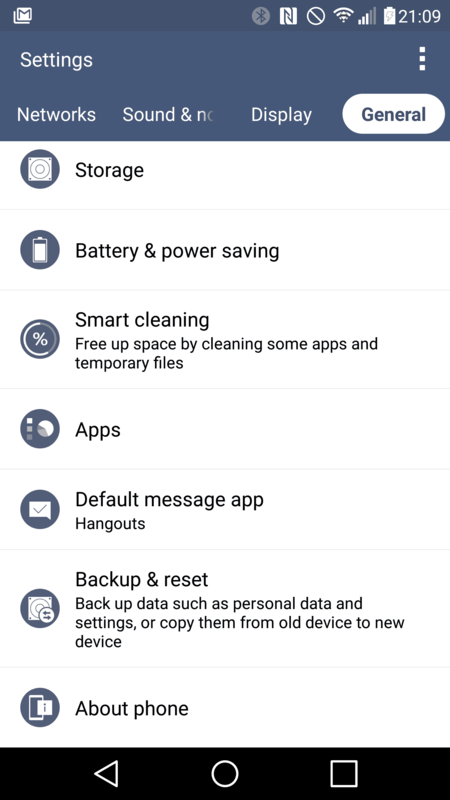 Or perhaps you have experimented with the LG G4’s Smartcleaner and accidently removed an idle application that you really would like back. 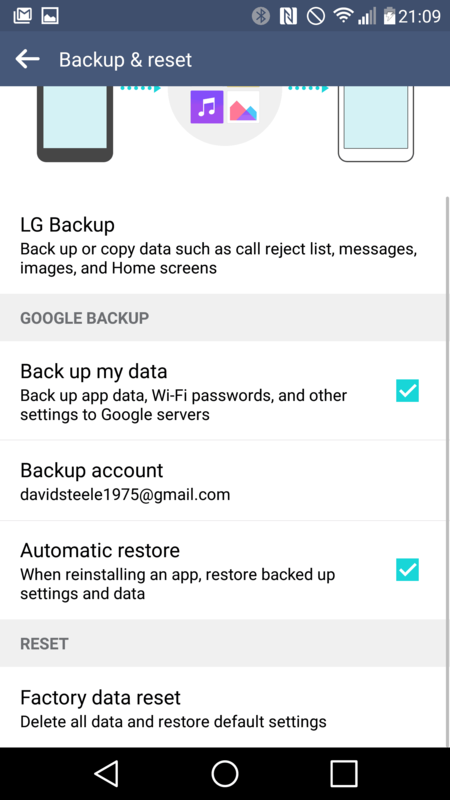 In order to factory reset the LG G4, first you need to head into the Settings menu, then Backup and Reset. 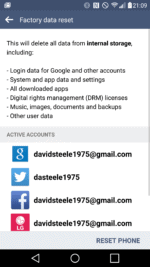 In here, you’ll find “Factory data reset” as an option. Tapping this brings up the warning explaining that if you proceed, you’ll remove all accounts, media and information from internal storage. 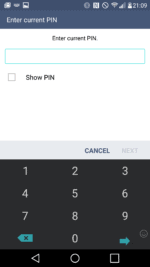 At the bottom of the screen, under the list of accounts that your factory reset will remove from the device, you’ll see an option to erase the memory card too. The LG G4 needs at least 30% battery in order to perform a factory reset as it is quite a convoluted and intensive process for the handset. It’s recommended that you keep the device plugged in, too. 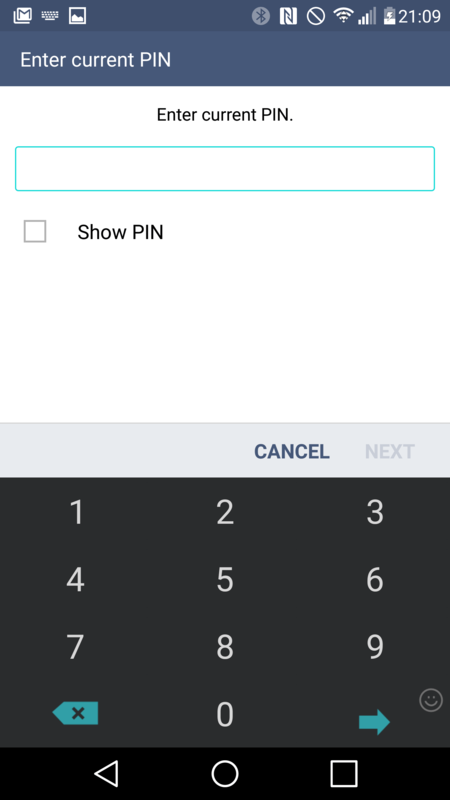 If you’re happy to proceed, the G4 will ask you for your PIN or lock pattern and it’ll then remind you that the factory reset cannot be undone, are you sure? 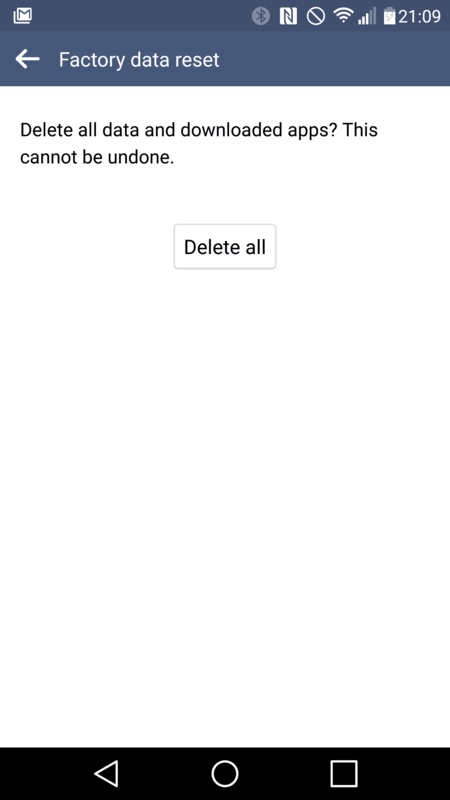 If you are sure, tap “Delete all” and wait a few minutes. After a couple of reboots, the device will be back to the first screen you saw when you first powered the device up. Congratulations: you now have a factory fresh LG G4! 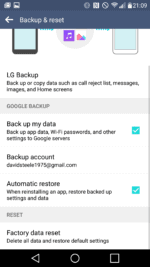 The post Android How To: Factory Reset The LG G4 appeared first on AndroidHeadlines.com |.